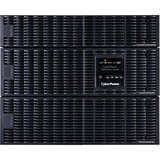 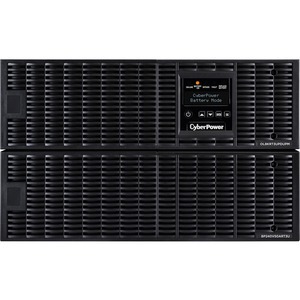 The CyberPower Smart App Online OL8KRT3UHW UPS with maintance bypass switch, hardwired terminal block, LCD Control Panel and sine wave output safeguards mission-critical servers, data center & telecom equipment. 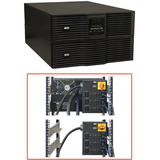 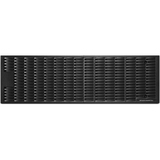 Its Double Conversion topology is generator compatible and delivers clean AC power with zero transfer time. 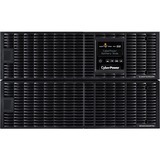 Configurable GreenPower UPS™ ECO Mode improves UPS efficiency. 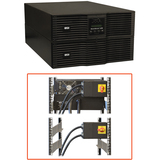 Smart Battery Management charging improves battery life. 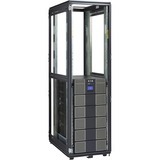 The LCD Control Panel provides 43 status and configuration settings to customize the operating parameters plus it can be removed and mounted separately from the UPS for ease of use regardless of where the UPS is installed. 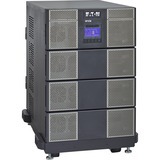 The OL8KRT3UHW has a capacity of 8kVA/7.2kW, (1) hardwire terminal block, and maintenance-free, user-replaceable batteries. This unit offers connectivity via USB, Serial, Dry Contacts, and EPO port.